Dots Dashes Doodles & Dreams: Is It a Card?Is It a Gift? ... It's Both! I have seen a lot of this type of card on the web and thought I'd have a bash at making one myself. 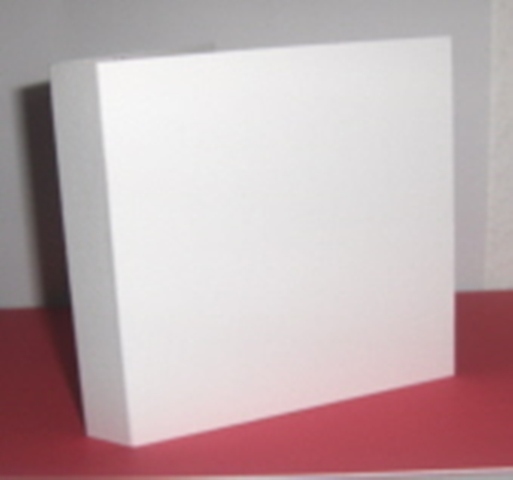 The first stage was to make the gift box for inside the card. I then snipped out three small sections of card in each corner and also made a small tab by carefully cutting the card as shown below. 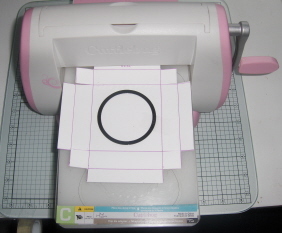 I used my Cuttlebug to cut a small aperture in the centre of the card. 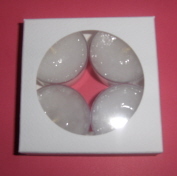 I chose a plain circle, but any shape can be used as long as it fits! I then scored/folded the card along each drawn line and removed two tabs. I glued the two remaining tabs to the sides of the card to begin forming the box. 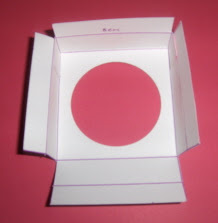 I cut a small piece of acetate to fit inside the box and glued it in at each corner. 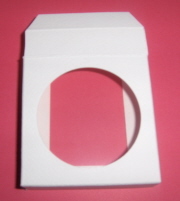 I also trimmed a small piece of card from the corners of the open tab to form a lid. I popped 4 scented tea lights inside the box and folded in the lid. I then moved onto make the main body of the card. 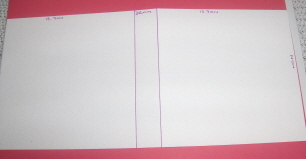 I used an A4 sheet of card and cut a strip 14 cm wide. 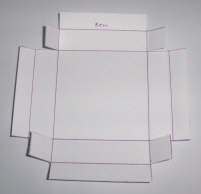 I drew two lines at 13.7cm from each side of the card, which left a gap of 2.2cm in the centre of the card. I then scored and folded the card along the drawn lines. 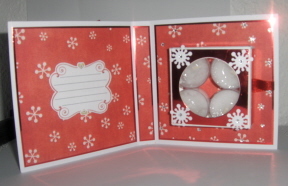 The gift box was then glued in place inside the card. 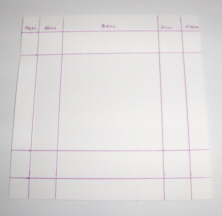 I made the card shown below from some A4 Kanban card stock I had in my stash. 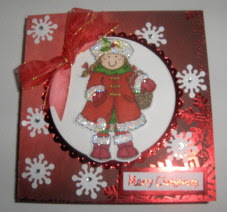 I would recommend decorating the inside of your card before you glue in the gift box as it makes life a little easier. 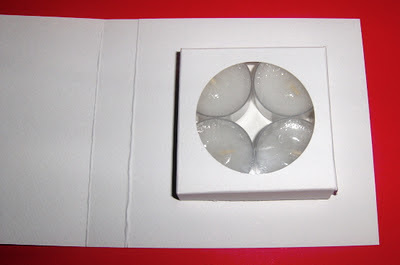 While the example shown has tea lights as the gift, the options are endless - this box is the perfect size for things such as a distress ink, chocolates, hankies, silk scarf etc, but the size can easily be adapted to fit anything you like . Thank you for sharing this and such a beautiful card. Brilliant! I must have a go. Thanks for sharing.